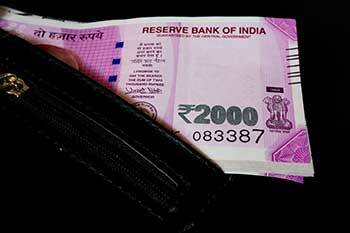 Is Rupee Cost Averaging suited to bull or bear markets? Rupee Cost Averaging is a logical benefit of doing a systematic investment plan (SIP). This is roughly how it works. Rupee Cost Averaging is a logical benefit of doing a systematic investment plan (SIP). This is roughly how it works. When you consistently and regularly invest in a stock or a mutual fund over a period of time, then the average cost becomes lower and therefore the rupee cost averaging works in your favour. By lowering the averaging cost, the SIP tends to be more profitable than a lump-sum investment over a longer period of time by enhancing your ROI. But does Rupee Cost Averaging (RCA) turn out to be beneficial in bull and bear markets or is it only restricted to one kind of market? Let us look at the evidence. Let us assume hypothetically that Jayesh Mehta is evaluating two options. He can either invest Rs120,000 in an equity mutual fund right away or he can do a SIP of Rs20,000 over the next 6 months. Which would be the better option for him? In a bearish scenario, the SIP has surely outperformed the lump sum investment. That is because the SIP has got additional units allotted. The bear market is favouring the SIP investor as lower NAV means that more units are allotted for the same fixed investment. Even though the SIP investor is also sitting on a capital loss, the loss for the SIP investor is just (6.2%), whereas the notional loss for the lump-sum investor is (16.8%). This difference in returns can be entirely attributed to the power of Rupee Cost Averaging. In fact, RCA works best when the markets are either bearish or flat for prolonged periods of time before picking up into a bullish trajectory. In the above instance of Jayesh Mehta, the Rupee Cost Averaging worked perfectly in a bearish market. But what if the market had been trending up over the last 6 months? How would that have impacted the SIP performance? Interestingly, in the above case, the lump -sum investor has done better than the SIP investor but one cannot say that the RCA is not working because the SIP investor is also sitting on a profit (albeit lower than the lump sum investor). The reason is that when the market is bullish, the final NAV positively impacts the valuation. However, the lump-sum investor definitely has an advantage over the SIP investor here in terms of returns. The SIPs which proffer the benefit of Rupee Cost Averaging to the investors is an idea for the long term. Typically, you must assess the efficacy of RCA over a period of 8-10 years. Six months are just for exemplifying the concept and that is not the way actual SIPs should be judged. Over a period of 8-10 years, the bull and bear phases tend to neutralize each other and SIPs give better returns. The issue is not whether the SIP works better in bull markets or bear markets. The issue is that it is impossible for investors to predict when the market will be bullish and when it will be bearish. Instead of trying to predict, they would be better off with a passive SIP, which will yield good returns over the long run. In case you have received a lump-sum amount and want to invest the same, then there is a mid way between a lump-sum investment and an SIP. It is called systematic transfer plan (STP). Under the STP, you invest the entire corpus in a liquid fund and then sweep a fixed sum into an equity fund each month. That way, you get the benefit of higher returns on your idle funds as well as the advantage of Rupee Cost Averaging. Rupee Cost Averaging will work best when the markets are going through a lot of volatility within a structural bull market. If one looks at the Nifty or Sensex over the last 15 years, the index has multiplied nearly 15 times and that itself makes a fit case for Rupee Cost Averaging. The moral of the story is that in Indian market conditions, RCA will work over a longer period of time, irrespective of intermittent bull and bear phases.